My long-overdue review of one of my favorite picture books of the year is posted over at proseandkahn. Booktalk: Sure you know T-Rex was the meat-eating king and brontosaurus munched on leaves, but what else was on the dino dining menu during the Mesozoic era? Meet the ‘vores: carnivores, piscivores, herbivores, insectivores, “trashivores,” “sunivores,” and omnivores like us. 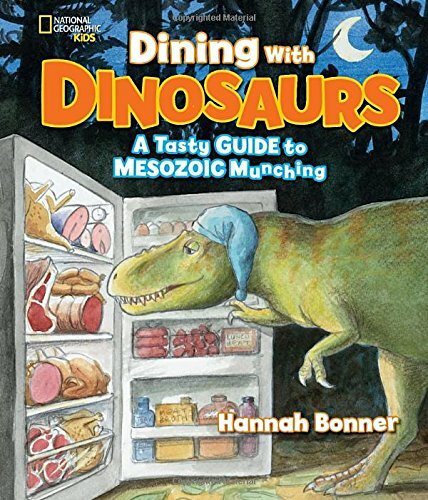 Readers will be surprised and inspired to learn about dino diets and they’ll get to explore how scientists can tell which dinosaurs ate what just from looking at fossils! 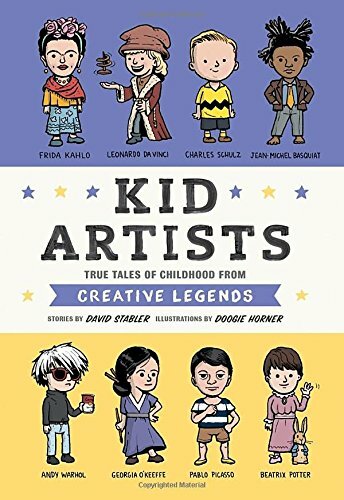 Booktalk: Every great artist started out as a kid. Forget the awards, the sold-out museum exhibitions, and the timeless masterpieces. When the world’s most celebrated artists were growing up, they had regular-kid problems just like you. Jackson Pollock’s family moved constantly—he lived in eight different cities before he was sixteen years old. Georgia O’Keeffe lived in the shadow of her “perfect” older brother Francis. And Jean-Michel Basquiat triumphed over poverty to become one of the world’s most influential artists. Kid Artists tells their stories and more with full-color cartoon illustrations on nearly every page. Other subjects include Claude Monet, Jacob Lawrence, Leonardo da Vinci, Vincent van Gogh, Pablo Picasso, Frida Kahlo, Beatrix Potter, Yoko Ono, Dr. Seuss, Emily Carr, Keith Haring, Charles Schulz, and Louise Nevelson. Read more book reviews at Ms. Yingling Reads. Fannie Sellins was a single mother trying to put food on the table for her four young children by working in Marx and Haas Clothing Co. in St. Louis. The conditions were wretchedly poor, so when she heard about seamstresses in Chicago and New York City forming unions, she rallied support from the workers to create Local 67 of the United Garment Workers of America. Although the conditions were improved at this factory, it was still a very difficult way to earn a living. 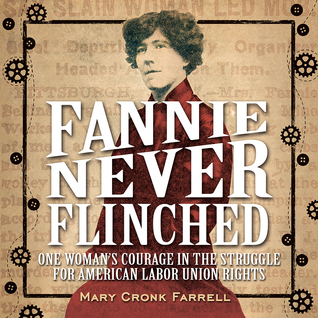 After serving as president of her local union, Fannie traveled to different cities giving talks about working conditions. In the early 1900s, these were often treacherous– buildings in poor condition, workers riddled with disease, and dangerous jobs performed by very young children. The union not only worked to get these conditions improved, but took up collections to help families affected by them. Strikes were common and often brutal. At one of these, in Black Valley, Pennsylvania, shots were fired into a crowd, and Fannie was killed. The police inquiry absolved the officer, and even commended the force for keeping the peace! While young readers may study a little bit about the labor movement in the United States, it is often impersonal. Focusing a movement around the actions of one person is a great way to encourage empathy for it by giving it a human face. The formatting of this book is excellent– while I’m not usually a fan of larger books (this is about 10″ x 10″), this size allows plenty of photographs and a lot of space around the text. While it may seem silly, this is a HUGE selling point. Readers are often reluctant to pick up books filled with dense blocks of text and few pictures. The buttons and cogs at the bottom of the sepia toned pages also make this a more reader-friendly book, and that will go a long way to entice children to read about this important historical figure. I loved this author’s Pure Grit, but felt that it was too long and involved for most of my readers. Fannie Never Flinched struck an excellent balance between easy-to-read format and amount of information. It’s a great starting point for National History Day projects (especially in 2016-17, with the theme being Taking a Stand! ), and will intrigue and encourage readers to investigate the other sources listed in the bibliography. This picture book biography belongs in every kind of library for every age group. Beautiful watercolors illustrate the life of an incredibly resilient man dedicated to pursuing his dream despite many obstacles. It has great potential for cross-curricular use from STEM to social studies to language arts. Full review at proseandkahn.